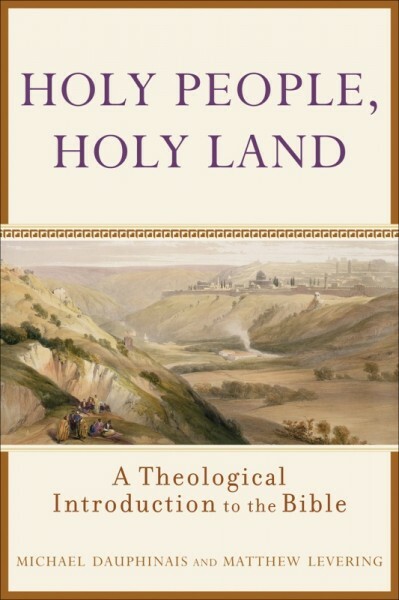 Holy People, Holy Land is a mind-expanding journey through the Bible from Genesis to Revelation. The authors reveal that the Old Testament themes of land and Law, temple and covenant, all begin and end with God's gracious salvific work in Christ, who fulfills the Law, establishes perfect justice, and is the true Temple. Dauphinais and Levering suggest that holiness--that is, love as communion with God and neighbor--is the common thread that runs through scripture. Holiness, they say, manifests itself in profuse biblical language about a promised land and a holy people, all of which reveals a holy God desiring to recreate us in his image. The authors point out that this idea is as old as the church itself and as new as the work of contemporary biblical scholars. This book is intended for undergraduate students in theology and the Bible, both Catholic and Protestant, who seek to learn the story of how love--revealed most prominently in the sacrifice of Christ--creates a holy people equipped to serve God and one another.